Sat., 15 Feb. - Sat., 29 Feb.
See all 587 properties in Frankfurt Intl. Located in Frankfurt Airport Area, this family-friendly Frankfurt hotel is within a 5-minute walk of The Squaire and Gateway Gardens. Lufthansa Flight Training Center and Hoechst Castle are also within 16 mi (25 km). Frankfurt (Main) Airport Regional Station is 10 minutes by foot. 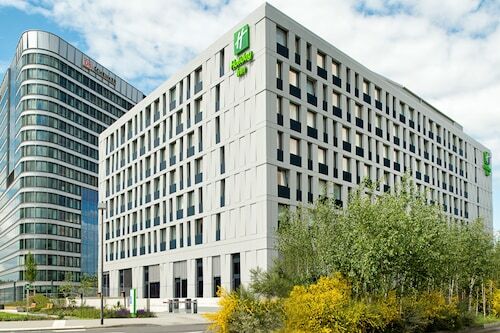 With its bold modern design, this hotel is directly connected to Frankfurt International Airport's Terminal 1, near downtown, and close to European Central Bank and Lufthansa Flight Training Center. Located in Frankfurt Airport Area, this family-friendly Frankfurt hotel is within a 15-minute walk of The Squaire, Lufthansa Flight Training Center, and Gateway Gardens. Opel Factory and Dienst Winery are also within 12 mi (20 km). Frankfurt (Main) Airport Regional Station is 7 minutes by foot. 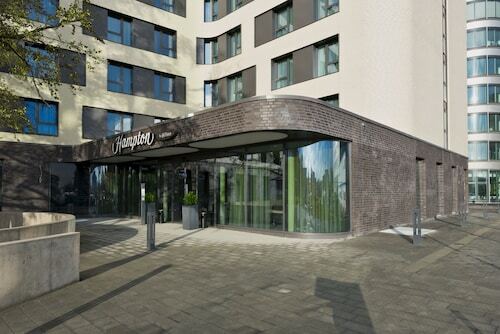 Located in Frankfurt Airport Area, this hotel is within 1 mi (2 km) of Gateway Gardens and The Squaire. Lufthansa Flight Training Center and Frankfurt City Forest are also within 3 mi (5 km). Frankfurt (Main) Airport Regional Station is 20 minutes by foot. 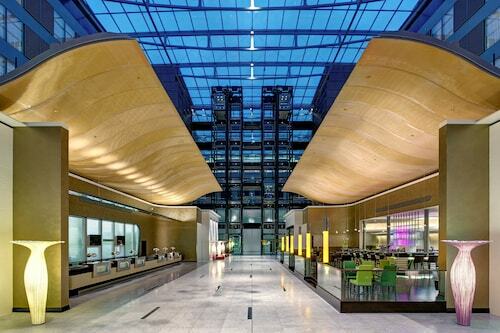 Located in Frankfurt Airport Area, this hotel is within 1 mi (2 km) of Gateway Gardens and The Squaire. Lufthansa Flight Training Center and Frankfurt City Forest are also within 3 mi (5 km). Frankfurt (Main) Airport Regional Station is 25 minutes by foot. 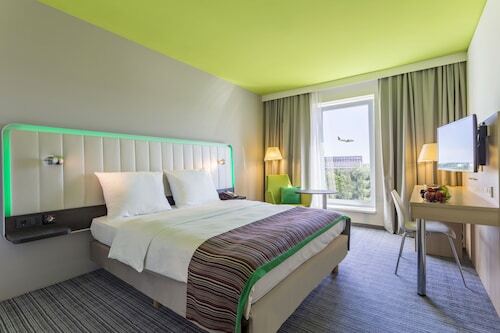 Located in Frankfurt Airport Area, this eco-friendly hotel is within 1 mi (2 km) of Gateway Gardens and The Squaire. Lufthansa Flight Training Center and Frankfurt City Forest are also within 3 mi (5 km). Frankfurt (Main) Airport Regional Station is 25 minutes by foot. Located in Frankfurt Airport Area, this hotel is 0.1 mi (0.1 km) from Gateway Gardens and within 3 mi (5 km) of The Squaire and Lufthansa Flight Training Center. Frankfurt City Forest is 2.4 mi (3.9 km) away. Frankfurt (Main) Airport Regional Station is 28 minutes by foot. Located in Frankfurt Airport Area, this hotel is 1 mi (1.6 km) from The Squaire and 1.9 mi (3.1 km) from Lufthansa Flight Training Center. Commerzbank-Arena is 4.7 mi (7.6 km) away. Frankfurt (Main) Airport Regional Station is 21 minutes by foot. Although the flight was long (12 hrs), the seat was comfy, we had two meals included and the staff was circulating with water during the whole flight.